the Sharkiteuthis Diving Co. LLC. 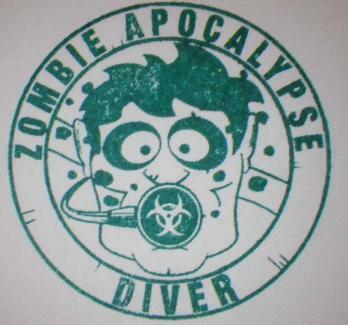 Q: Is this a real SCUBA Course? Q: Where can I take this class? Ski and SCUBA in Vernon, CT. They can be contacted here. Q: Do you offer other classes? website the Sharkiteuthis Diving Co.
Q: What age is the content appropriate for? Q: Is there a special children's course? special Aqua-Mission for the PADI Seal Team Program. Students get a similiar experience minus a C-Card. Q: Do you teach anywhere else? Q: Who designed your logo? A: That's something isn't it. We call the character "Romero." Q: Who took your photographs? in Connecticut. Email Mike here. Q: What is the cost and what is included? Q: So there's a textbook? Q: What happens on the dives? 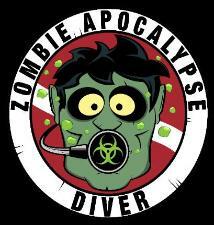 Q: I'm a SCUBA instructor, can I teach this course? other instructors only. Email us for more information. Q: Are you the coolest guy ever? A: So kind of you to ask...yes I am, in fact, the coolest. Guy.